My kickstarter project is intended to raise funds for the initial manufacturing run of my Craft Beer Tasting Kits. Some additional information is below, and I have included a preview link to my kickstarter page. 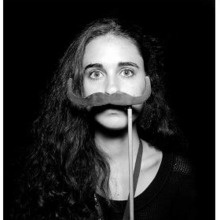 Please note that I'm in the middle of rebranding logo and finalizing professional images of all the reward items, etc. Creating a compelling video: I have a few ideas but no ability to execute them in video. I'm inclined to hire someone (a film student perhaps) to help me, but I don't know how much one would have to spend in order to get something decent made. Reward Levels: Are the rewards compelling? I think they are great, but do they work for others? Engaging Contributors Offline: I am not concerned about engaging my friend circle or acquaintances for contribution, but I want to recieve contributions OUTSIDE that circle. Particularly since I don't do a lot of social media - I live a very offline life. Can anyone speak to effective ways of melding offline connections into an online contribution? Particularly with strangers? 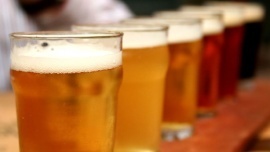 Share your love of fine craft beers and home brews with your closest friends! This kit sets you up to throw the perfect tasting party. 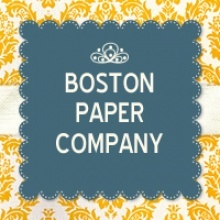 Boston Paper Company is a one-man (err... woman) company founded in 2012 as an at-home business making handcrafted party supplies. Because even though apps are cool, sometimes you just need something you can hold in your hand and touch. Something to share with friends in real life. That is where paper comes in: bright. tangible. textured. Paper brings people together. You are supporting the manufacture of a complete Craft Beer Tasting Party Kit. No keg stands or chugging beers here, the Craft Beer Tasting Kit offers a way to enjoy and learn about great quality, interesting beers. Perfect for the beer snob in your life or friends who were traumatized by BudLight and just need to be introduced to the wonderful world of craft beer and microbrews. When you choose to support this project, you are pre-ordering the kit and other wonderful rewards. I have already personally invested in the graphic design, sourcing, and spec development so your funds will go to fund the manufacturing run of all the kit components, the awesome gift-worthy packaging, and other reward items. Once the components are printed and delivered, each kit will be assembled by hand (by me!). Any reward here would make a great gift for the craft beer lover of home brewer in your life, but please consider funding at the higher levels so that you can receive the entire product line. The more you give to the campaign, the more widely we can share the love of beer and launch the kit to retail locations across the country. Additionally, the reward pricing here is as good as it will get - future sales of individual products will most certainly be at a higher price.